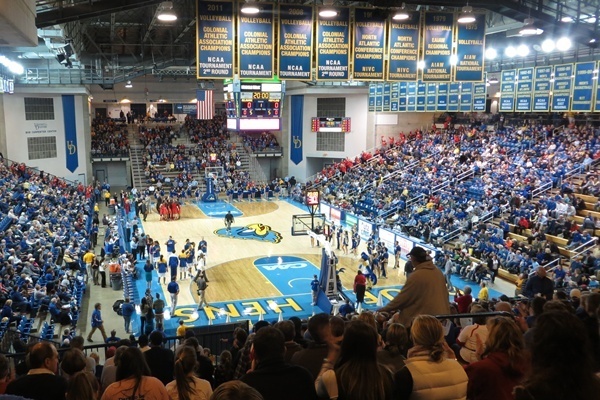 The Blue Hens team is tearing through the CAA and has its sites set on making another run at the NCAA tournament in March. 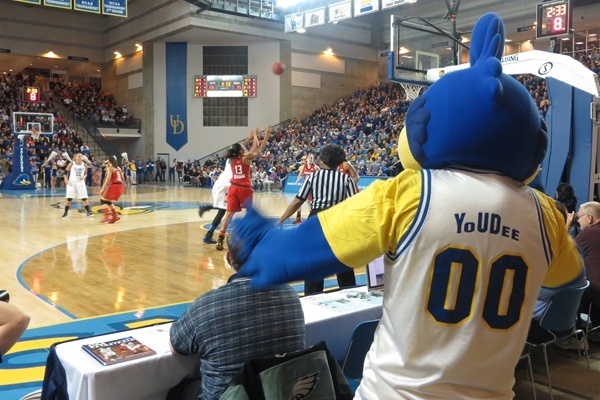 With no major league professional sports programs in Delaware, a successful University of Delaware team can galvanize support from throughout the state, and that’s exactly what the Blue Hen women’s basketball team has done. 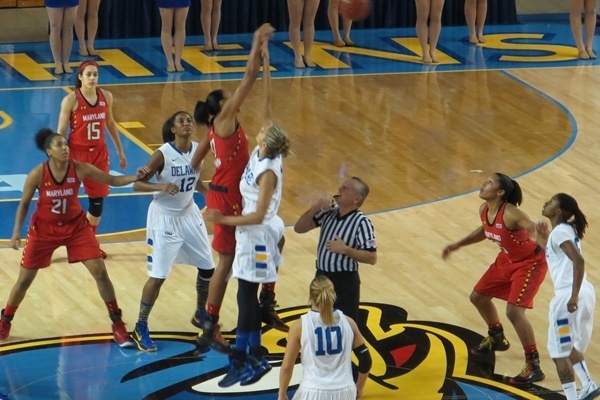 While the UD football program’s future is uncertain following the dismissal of head coach KC Keeler, expectations are high for the women’s team, in hometown superstar Elena Delle Donne’s final college season. 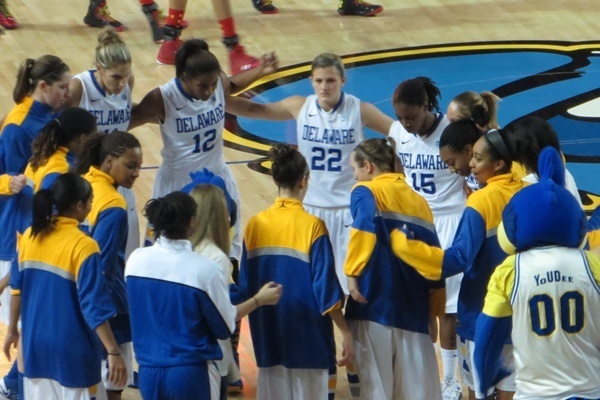 Delaware is behind the UD women’s basketball team in a big way. 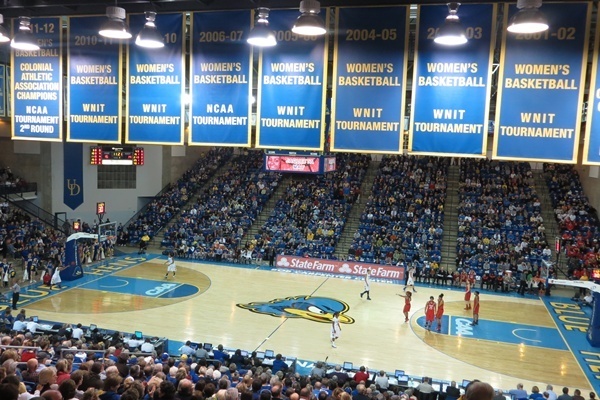 All you have to do is check the attendance numbers; 5,089 fans set a women’s basketball record for attendance at the Bob Carpenter Center during a December game against the University of Maryland. Average attendance is just shy of 3,300. 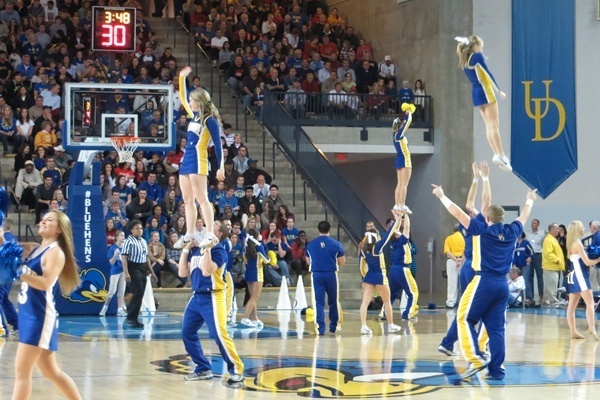 With an undefeated record so far against opponents in the Colonial Athletic Association, the Hens are poised to make a follow up run to last year’s appearance in the NCAA tournament. 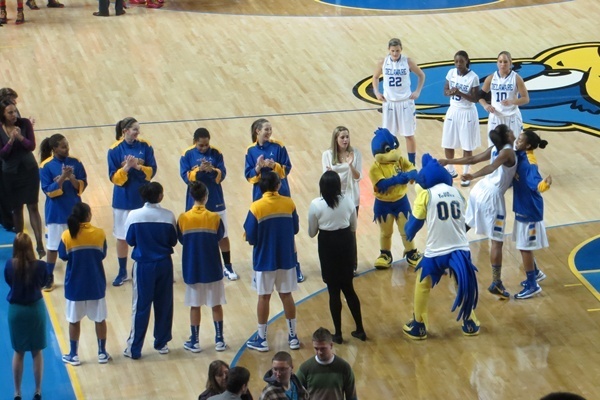 In 2012, the Hens won their first round game as a no. 3 seed before getting upset in the second round by 11th seeded Kansas. 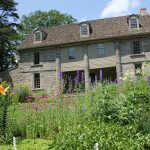 This year, the first two rounds of the tournament would be in Newark, giving the Hens a chance to play in front of that hometown crowd. That learning process continues with a team trying to make one last push led by one of the best basketball players Delaware has ever seen. 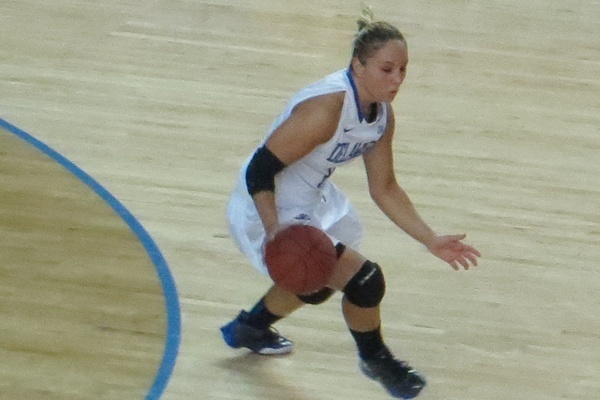 The story of Delle Donne’s decision to walk away from the top program in the country at the University of Connecticut has been well told. 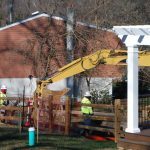 But her decision to return to the basketball court, after a brief detour to volleyball at UD, has certainly made a huge impact on the program. 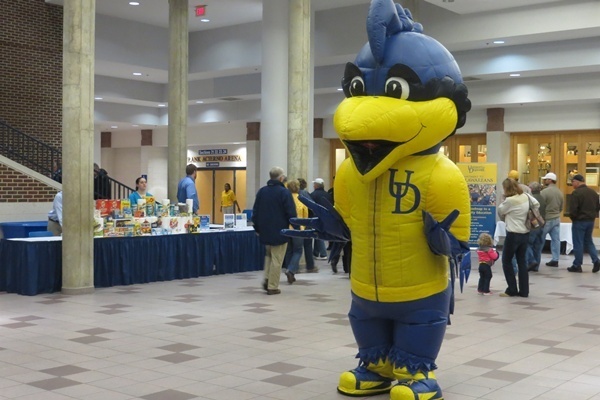 Delle Donne’s star continues to rise, from throwing out the first pitch at Phillies Opening Day to winning a gold medal at the World University Games, but the highest profile athlete in Delaware has her sights set on the next level. 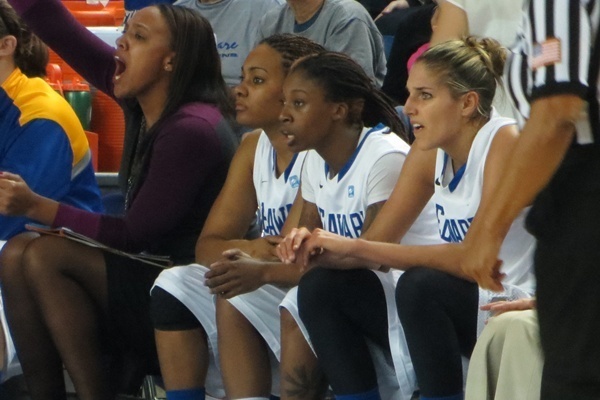 But for now, Delle Donne and the team are focused on continuing their winning ways in the CAA conference and making a return trip to the NCAA tournament. May says they’re not looking at last year’s first round win as a stepping stone to more success. “This is a new year, new slate. We have to work again and pretend that we never even made it so we’ll get even further and that’s more motivation for us to go further in the tournament. 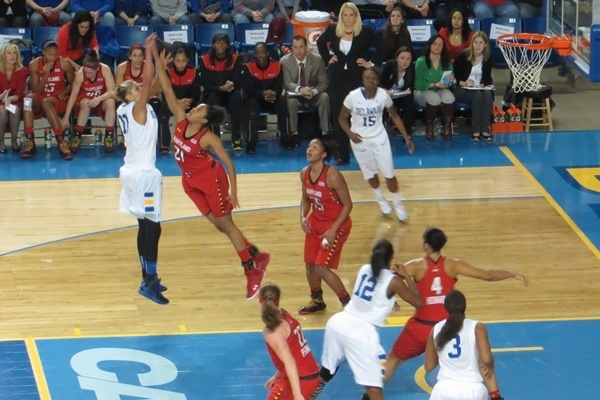 For Martin, it’s all about pushing the team to make sure the final year of Delle Donne’s tenure at Delaware ends well. 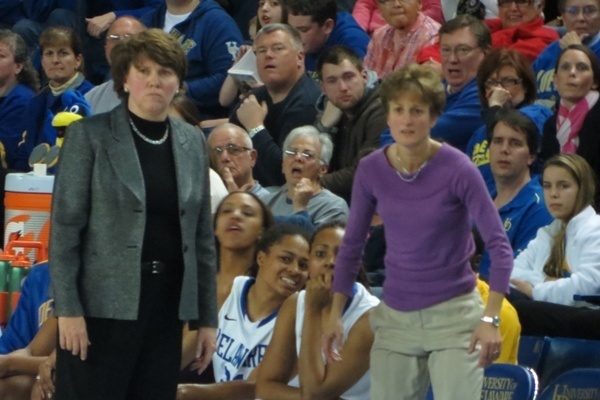 WHYY will broadcast the Blue Hens game vs. Hofstra on Sunday, Feb. 3 at 2 p.m.